NASA's Chandra X-ray Observatory is providing new insights into the frontier of X-ray astronomy. Space station commander Mike Fincke shows the new U.S. toilet installed aboard the complex. 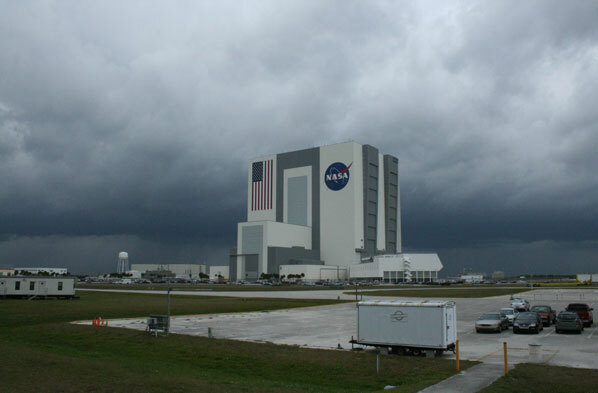 The astronauts are preparing the station for larger crews beginning in 2009. This video provides a recap of the Mars lander Phoenix and the spacecraft's mission to the frozen northern plains of the Red Planet to dig up samples of the soil and water ice. This is the story of NASA's first journey in orbit around the Moon with comments on the significance of the Apollo 8 flight by several prominent Americans. This is the Manned Space Flight Film Report for the mission of Apollo 8 that orbited around the Moon on Christmas in 1968. 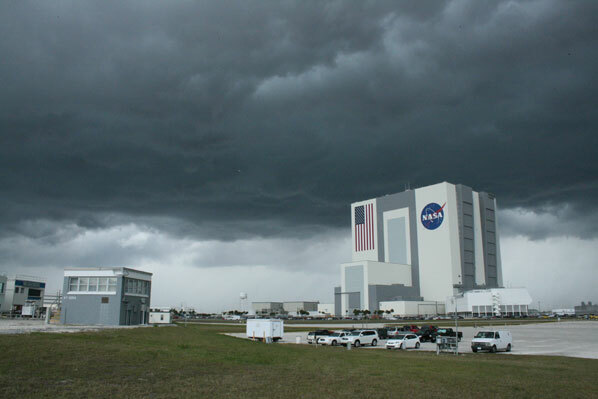 Launch of NASA's Mars Science Laboratory will be postponed from 2009 to 2011 due to hardware development delays. More than 200 videos covering shuttle Endeavour's STS-126 mission to the space station are archived for viewing. 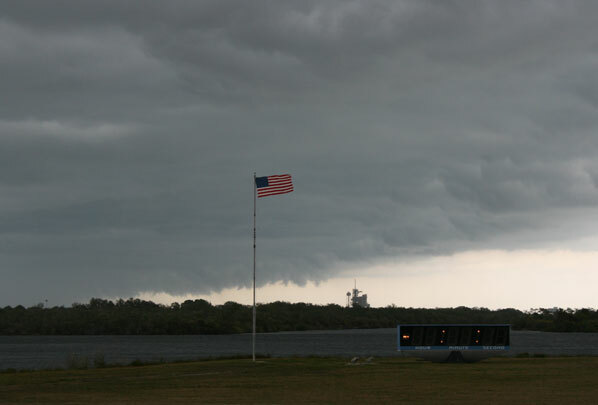 Daily highlights movies from recent space shuttle flights can be seen here. 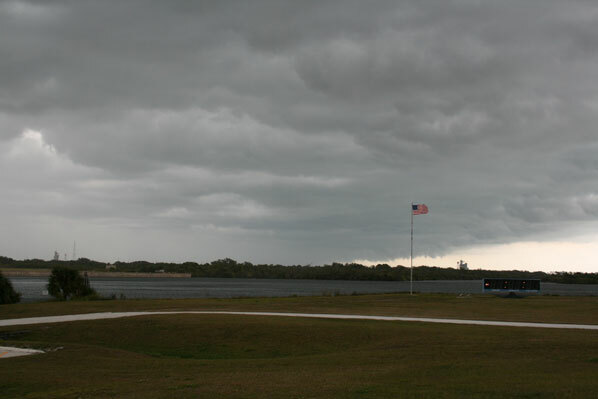 These images were taken at the Kennedy Space Center press site as a line of rainy weather raced across the Cape a little before 1 p.m. on January 7. 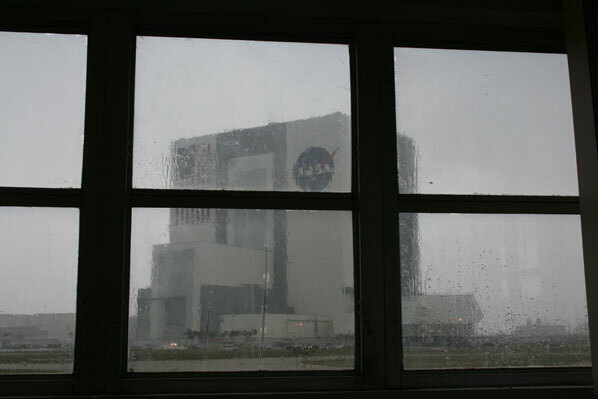 The conditions temporarily put on hold Discovery's transit from its hangar to the Vehicle Assembly Building. 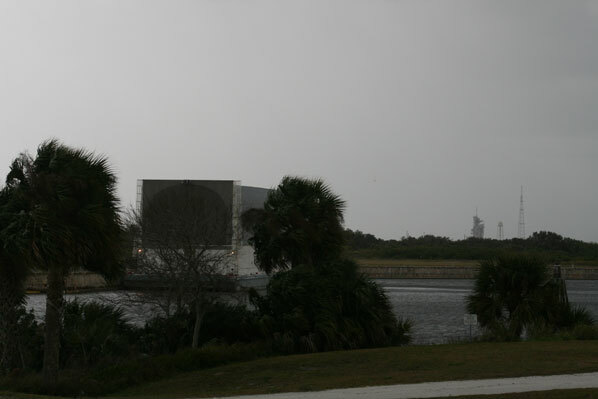 Also notice the new lightning tower that has been erected at launch pad 39B for the Ares 1 rocket program. It is the first of three such giant towers being constructed at the complex.